With all the work for the shop, I haven’t been knitting much recently. However with the baby on the way I felt that I wanted my guy to have a few handmade knits. And baby things knit up so quickly, it’s hardly a huge commitment. So for right now, the plan is a set of mittens, a few hats and a baby blanket. 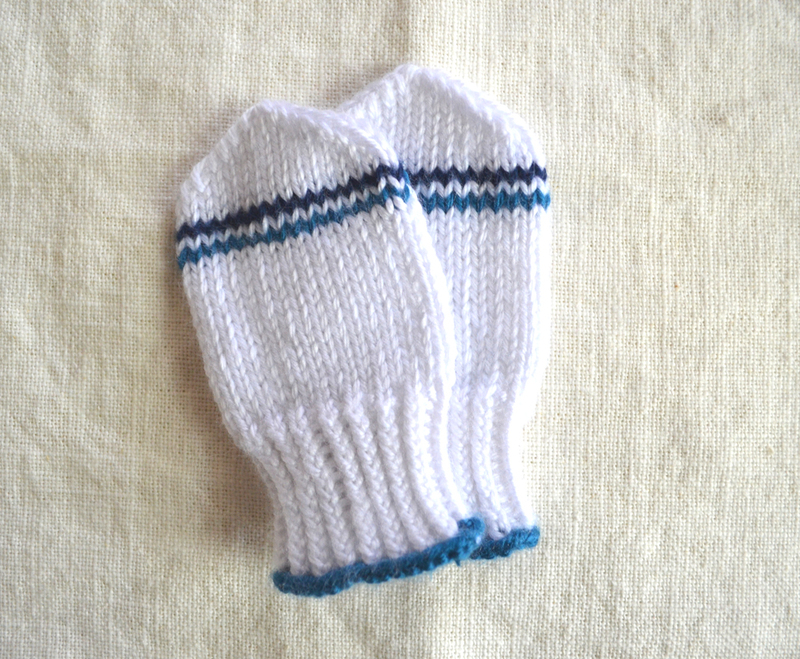 I used this pattern for the mittens, from the Purl Bee. I just used leftover worsted weight Caron Simply Soft yarn that I had lying around. The project uses so little yarn it’s a great way to use up the ends of your stash. The pattern is very simple –no thumbs to fuss with, which makes sense since it’s not like baby will have good enough muscle control to need the mobility. In fact my major motivator in making a set of mittens was to act as a protective barrier so baby doesn’t gouge himself in the face with his nails. One drawback is that the way the pattern is originally written, it places the “jog” from knitting in the round smack in the middle of the mitten on one side. 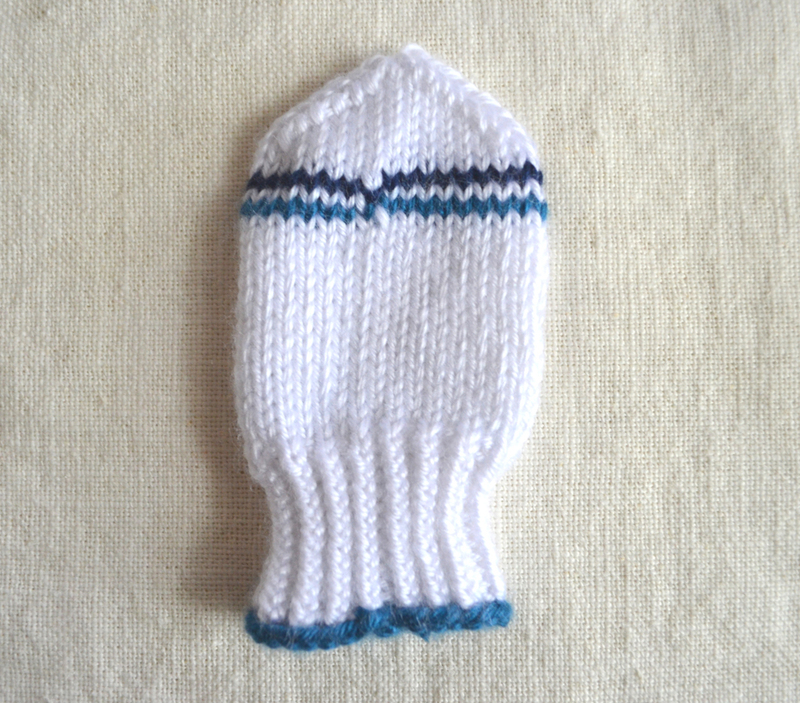 There are alternative directions for placing the “jog” on the side of the mitten in the comments near the bottom. I did this on my second mitten, and it looks so much nicer. 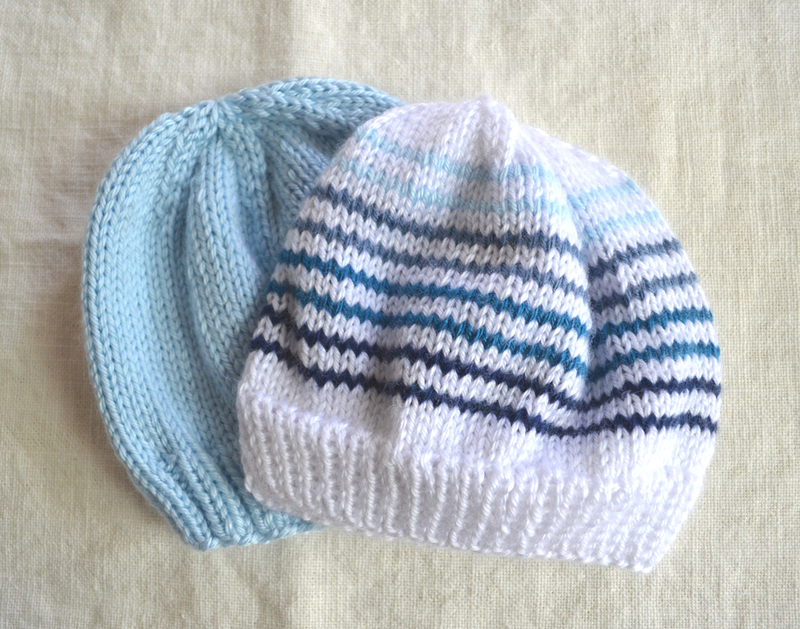 I also made two hats using this pattern in two different sizes, “newborn” and “6 months.” Again, I used Caron Simply Soft yarn that I had left over from other projects. 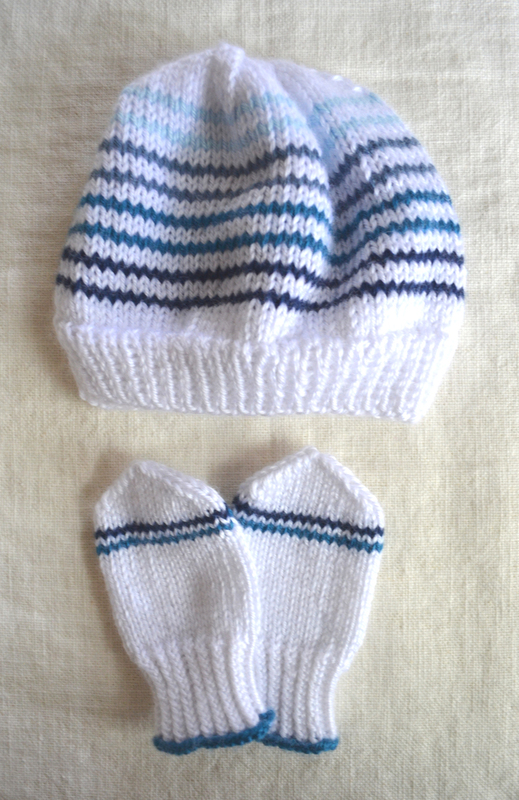 The pattern is very simple, so I added gradated stripes to the 6 month hat, which ties them in to the mittens.